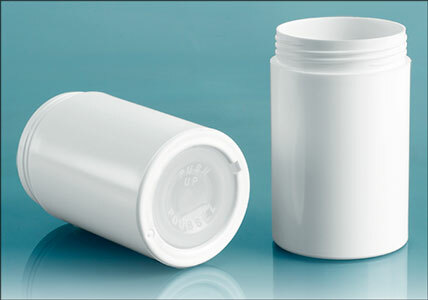 The 2.5 oz white polystyrene round deodorant containers come with unlined white ribbed screw caps. To dispense contents of these deodorant tubes, simply push on the natural plastic bases of the containers, which clearly feature molded text reading "Push Up". 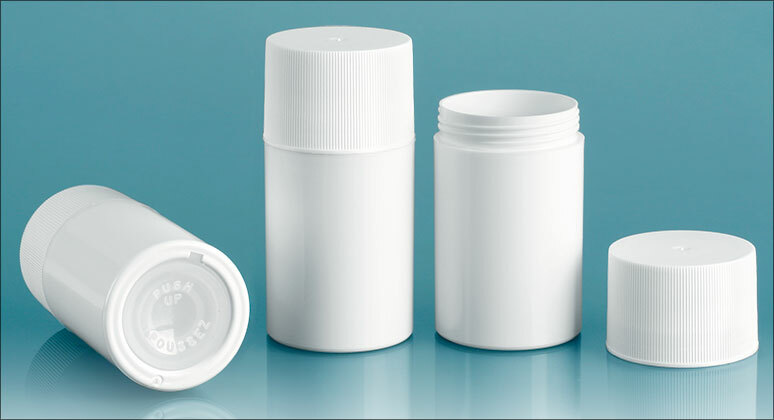 These deodorant tubes could be used to package deodorants, as well as sunscreens, solid perfumes and other bath and body care products.